A few days ago I was listening to a great podcast called “How Did This Get Made?” starring Paul Scheer, June Diane Raphael and Jason Mantzoukas. They watch crappy movies and then talk about them at length. They’ve done some of my favorite films including, Spice World, The Room, and Crossroads. If you like terrible movies, and comedy, then you’ll love this podcast. One of their earlier podcasts was about the film Crocodile Dundee in Los Angeles. It’s a horrible film (go watch it immediately) but I learned something very interesting during the podcast. 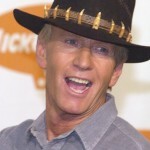 Apparently Paul Hogan is a total jerk. Near the end of the podcast, Matt Berry, one of the writers on the film called in to talk about the crap show that was Crocodile Dundee in Los Angeles. There were two writers on the film, Matt Berry and Eric Abrams. Matt Berry knew that Crocodile Dundee Los Angeles was going to be a terrible movie but still, he tried to write some semblance of a decent script with Eric Abrams. Once the script was written they sent it to Paul Hogan who went through the script and didn’t change any of the scenes but altered almost every single line. Why? Because he wanted sole writing credit for the film. Hogan was already the star, the creator, and the producer of Crocodile Dundee in Los Angeles but he also wanted to be the sole writer. The three went to court over the contract, which, if Hogan had achieved sole writing credit, would have screwed Matt Berry and Eric Abrams out of a lot of money. And Berry said multiple times during the podcast that he was only doing it for the money. Hogan lost the lawsuit and today, on IMDB there are three listed writers for the awful film. But that wasn’t the most interesting part of the story. Berry began talking about Hogan’s lawsuit against his former financial advisor. Hogan’s advisor, Philip Egglishaw, apparently stole $34 million from the actor by setting up various complex corporate structures in tax havens such as Switzerland. According to one report, Hogan has an account in the Corner Bank in Lausanne, which contains the $34 million. Unfortunately for Hogan, he’s completely locked out of the account. There’s an international arrest warrant out for Egglishaw and others think he could have absconded with the missing millions or he already spent it all. Aside from this bizarre lawsuit, Hogan has lost lots of money stemming from his two divorces. His first divorce, from wife Noelene Edwards, was one of the ugliest divorces in Australia’s celebrity circle. He was married to Edwards twice, and ended things when he met his second wife Linda Kozlowski. In October 2013, Kozlowski filed for divorce citing irreconcilable differences. On top of all that, Hogan was named as a member of a group who were connected to a $300 million Australian tax fraud investigation called Operation Wickenby. Hogan claims that he has paid all his taxes and denies any involvement. The Australian tax office claims that Hogan owed taxes on $37.5 million of undeclared income. Here’s to bad karma and hoping for Hogan’s sake that Crocodile Dundee 4: Tax Evasion hits theatres soon. He needs the money.